Heidi Lewis Coleman is currently exhibiting her Acrylic & Cut Paper piece, SOLIDAGO, in Spectrum Art Gallery's show, SEE ME, FEEL ME, from January 26th through March 18th. 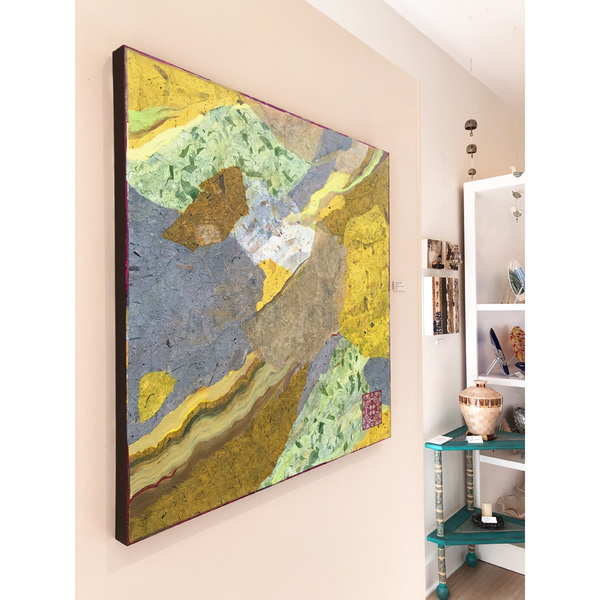 This intriguing exhibit features artists who integrate noticeable texture into their pieces through their use of paint, collage, mixed media, fiber and/or sculptural elements. Spectrum Art Gallery and Artisan Store is located at 61 Main Street, Centerbrook, Connecticut.